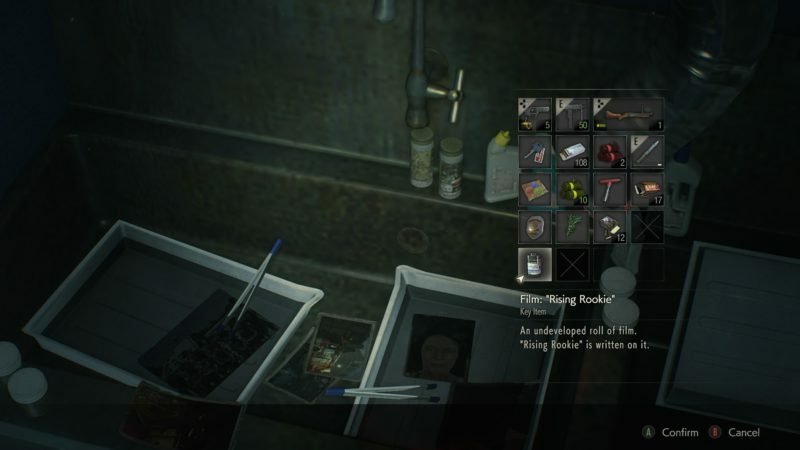 Perhaps one of Resident Evil 2‘s most famous (and weird) easter eggs is the ‘Recruit’ photo. 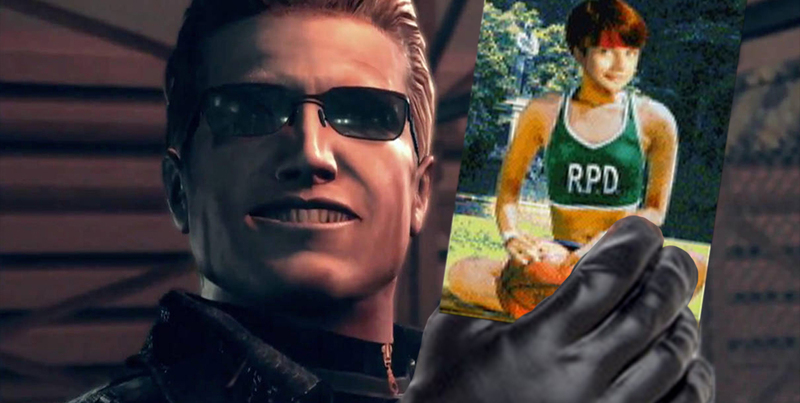 Featuring an… uncomfortably photoshopped image of the RE1 actress for Rebecca holding a basketball, it required searching the desk of S.T.A.R.S. captain Albert Wesker fifty times. I don’t even know how anyone figured that out, but it’s been RE legend ever since. They even included a recreation of the uniform from the photo for Resident Evil 0 HD, which was pretty cool for fans. 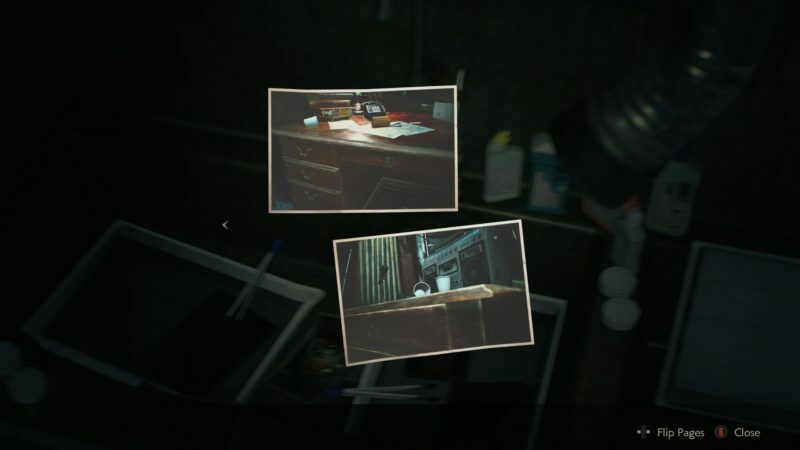 Well, RE2 Remake is no different — the Rebecca photo has indeed made the cut, and the methods on how to find it are slightly different now. 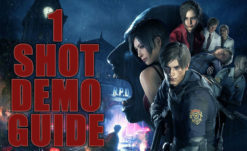 If you don’t want to miss out, or have just tried looking everywhere for it, this guide will help you on the path to seeing the 2nd cutest person in the game (after Leon, of course). So your journey to find the photo starts way later in the game than you’d think. 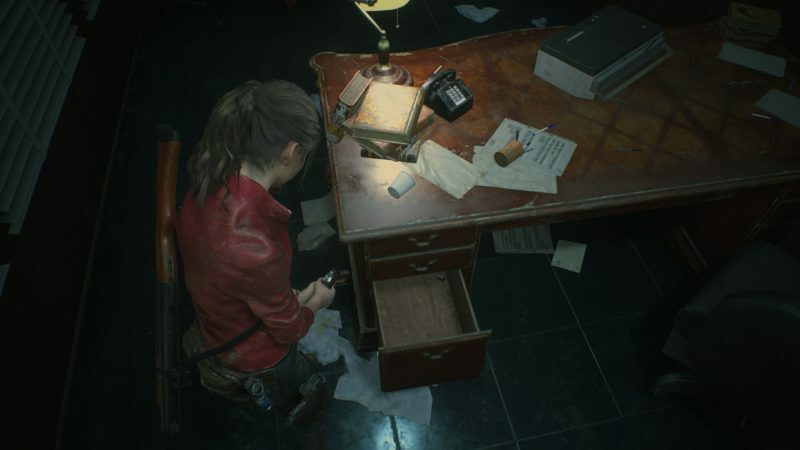 Again, in the original RE2, all you had to do was search Wesker’s desk fifty times to get the ‘Film D’ item. Now you won’t be able to retrieve the film roll necessary until you’ve made it all the way to the sewers! You can do this regardless of which character or scenario you’re playing. While you’re on the Upper Lever of the Sewers, go to the WorkRoom, shown here. On the desk in the center of the room, there will be a roll of film titled “Hiding Place”, pick that up. 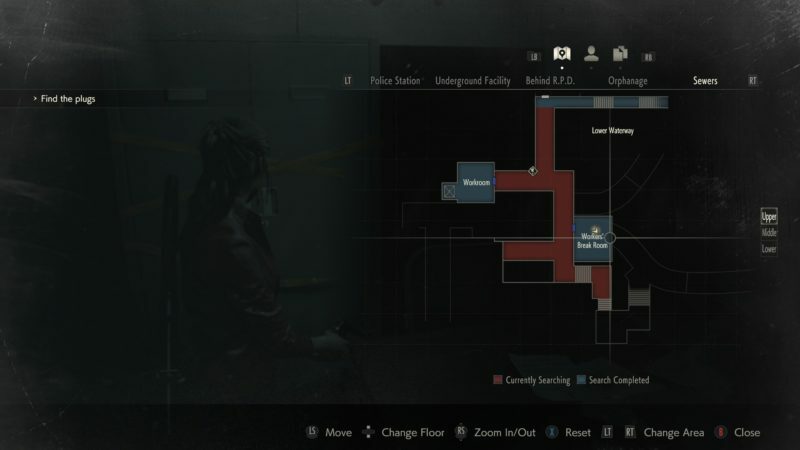 After acquiring the Sewers Key, there will be two rooms you can open with it, one at the other end of the platform you can raise or lower by inserting/removing a plug from the socket box beside it, and a second room that’s near the area with the dead USS soldiers called the Worker’s Break Room on the map. Unlock this second room, and there will be a set of lockers with the “I do something!” yellow tape on it. Walk to the right side of it, and hold down whatever your platform’s interact key is, moving it aside to reveal a secret room. You now have access to an elevator that takes you right back up to the R.P.D. basement, and you can navigate back up into the secret room below the Lady statue in the front hall. While this area sealed itself before, you can now open it with the new T-Bar Valve Handle you should have acquired by now. Now that we’re back in R.P.D. proper, head over to the West side safe room with the darkroom photo development studio and dunk the Hiding Places film in solution. You’ll actually get two photos out of this, showing two different hiding places. 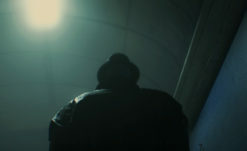 One is pretty clearly in the Press Room on the first floor, east side, but the other… would appear to be Wesker’s desk. 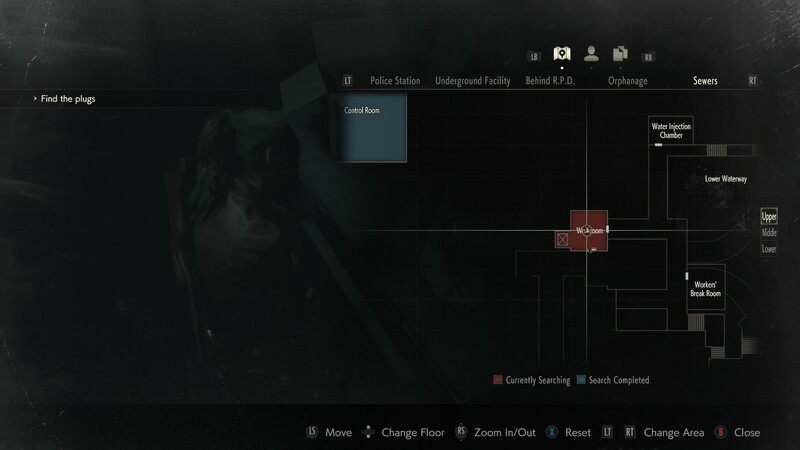 Yep, head on up to the second floor again, and the desk in the S.T.A.R.S. office will now be interactive from the chair side. Pop the drawer open, and take out the Weapons Parts container. That’s cool and all, but where’s our photo? Check again, despite there being no prompt, to find a roll of film tucked away in a corner of the drawer you just opened. Labeled ‘Rising Rookie’, there’s only one thing it could be! Head back on down to the safe room and develop that sucker. 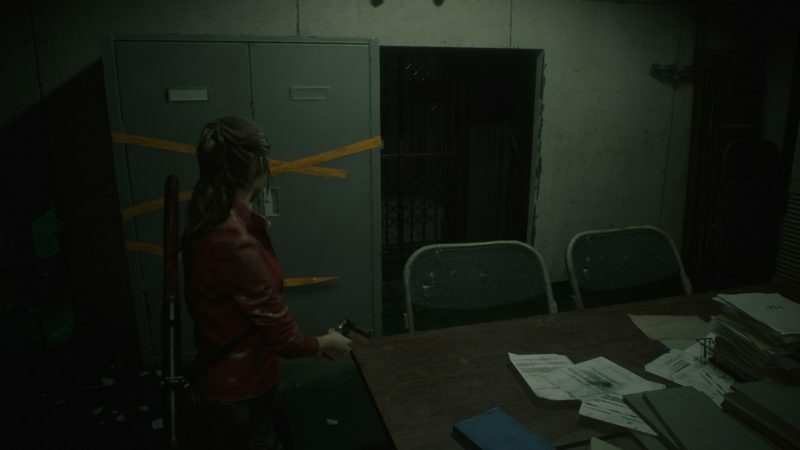 You’ve now acquired RE2 Remake‘s version of the classic Rebecca photo, showing a modern (and more evocative?) 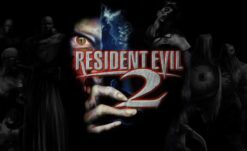 side to the RE0 heroine we’ve never seen before. If you’d like a peek at the photo, scroll down more past me blathering on about whatever I decide to make the next paragraph about. Yeah, it is just photoshopped RE0 HD artwork, but hey. Gotta keep it ‘shopped somehow — it’s a tradition!